Empty Nesters Doing Real Estate, Bigger and Better! Today’s population is working past 65 and enjoying more active, more leisure filled time. Instead of the cliché of retiring to the front porch or the easy chair, they’re using the opportunity of becoming “empty nesters” to look into a variety of opportunities, including buying a different type of house, one that’s on a golf course, luxury condominiums, or even lofts with home gyms. We know it can be difficult to leave behind the home your kids grew up in, but moving up can have many benefits. Entertainment, a fresh start and convenience are at the top of the list. If you are a young empty nester you might be looking for a community closer to your grown children, maybe your grandkids, but that will also accommodate your luxury life style. Consider the Lake Sherwood area. A guarded golf club community, only 30 minutes from the Los Angeles area, it’s the perfect mix of luxury and active life style because let’s face it 50 is no longer your grandmother’s 50. 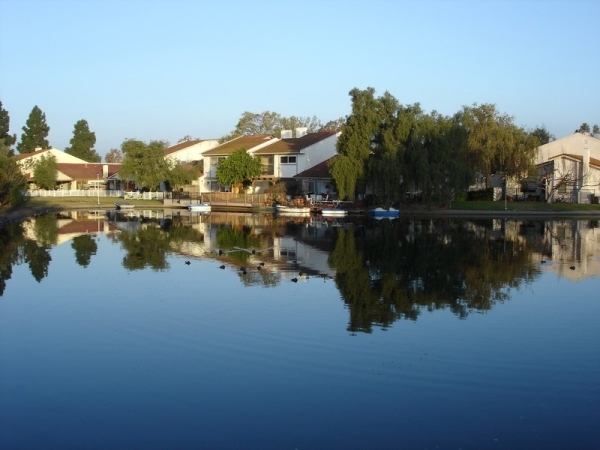 Lake Sherwood has gorgeous lake view homes, close proximity to hiking trails, terrific restaurants and shops and last but certainly not least, perfect weather. Additionally, it’s ideal for the middle aged couple who wants to be close to their grown children who lives in Los Angeles or Orange County. An empty nest doesn’t have to resemble less of a home! It can actually offer you so much more! If you are planning on selling or buying a home in the Lake Sherwood area, contact Lydia Gable for a consultation today.